100 Towns of Australia (coming in at #54) for its beachfront, rainforest and bush location. Our new editor’s spent a lot of time in this Sapphire Coast gem, and reckons she’d rate it higher. Merimbula is an easy road trip from three capital cities along the Princes Hwy – 530km or a 5hrs 45mins drive from Sydney via Canberra, 7hrs north of Melbourne and 3hrs south-east of Canberra. Regional Express flies here from Sydney and Melbourne. 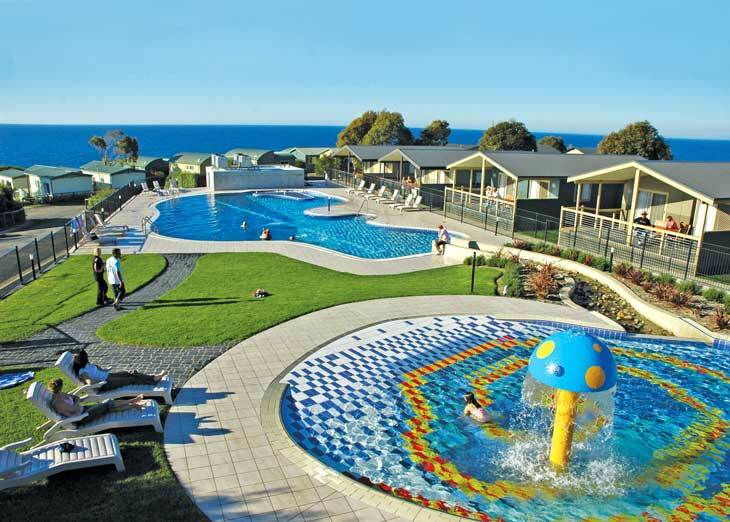 Merimbula Beach Holiday Park has the facilities of a Club Med resort – luxury beach houses, two pools, volleyball court, jumping pillow, kids club, games room and playgrounds – without the price tag. Choose from clifftop ocean condos, bungalows, poolside cabins, villas and spa retreats. 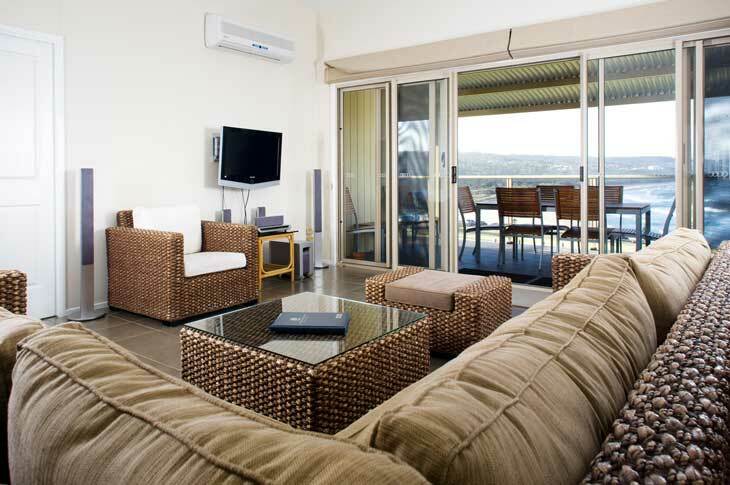 Beach Cabins Merimbula offers studio, two and three-bedroom cabins right on Shore Point Beach. During the pre-Christmas period, December 17-25, rates at the Holiday Park are, surprisingly, half the price they are in January. Unpowered campsites cost $30 for two people, basic ensuite cabins cost $85. NRMA members get a 10% discount on bookings, capped at $40 during high season. 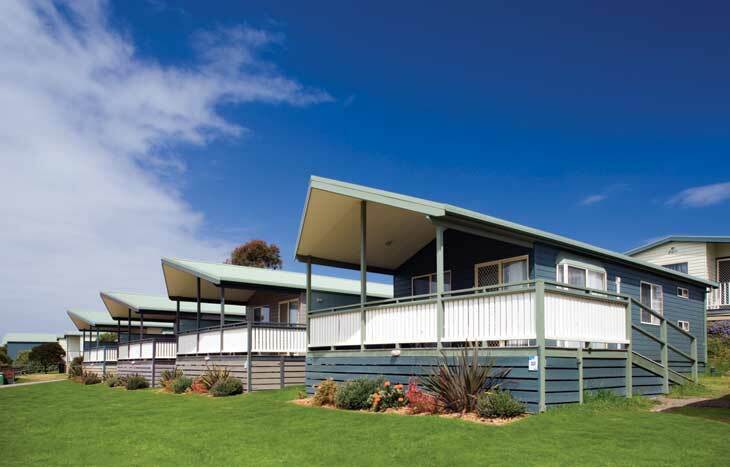 Beach Cabins Merimbula offers parkside studios for $1050 a week; family cabins cost $1925 a week. From Boxing Day onwards the Holiday Park is booked out for the school holidays but there are still cabins and campsites for Christmas. Beach Cabins are still available during January. But be quick! Merimbula is surrounded by national parks. Check out the natural water slides at Mumbala Falls. In town, you’ll find a pretty strip of boutiques and restaurants. Head to Zanzibar for degustation or Wheelers for oysters from the restaurant’s own oyster leases. For kids, there’s Magic Mountain recreation park. Then there’s Oaklands, a nursery near Pambula with a petting zoo, car museum and art gallery.